Niwa asks for Taiwanese citizens to sing their national anthem to the rhythm of the national anthem of the People’s Republic of China “March of the Volunteers” performed by a band in Taiwan. 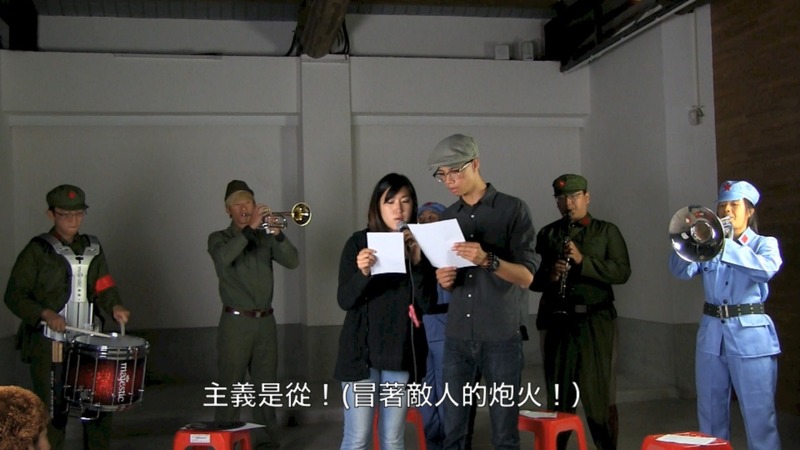 As this reminds us the historic conflict between China and Taiwan, he attempts to bring out conformation and resistance at the same time in another dimension beside the historic conflict by making them focus on how they sing or arrange to sing to the national anthem of the People’s Republic of China. 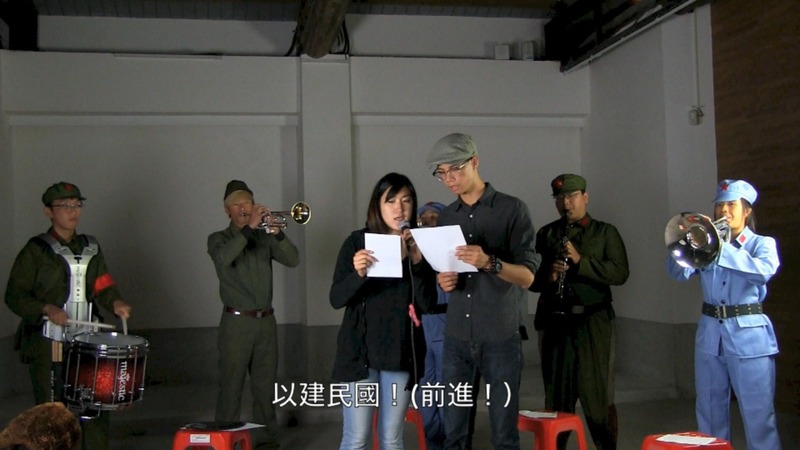 Just like the traditionally known anti-Japanese song “March of the Volunteers” has changed its meaning after ages, this project indicates that by having people sing freely – separately from the creators’ intentions – creates the new ways of society and culture.